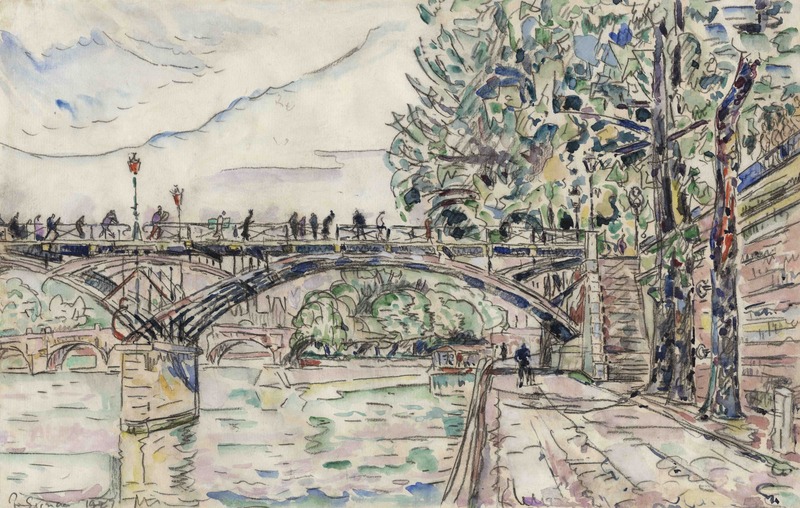 Paul Signac | Stoppenbach & Delestre Ltd.
Paul Signac was a fervent Neo-Impressionist from early on in his artistic career and would remain as one of the most significant artists of the Pointillist Movement. In 1884, Signac met with Georges Seurat, and impressed by his theory of colours, began working in the pointillist style from 1885 onwards. He abandoned short impressionist brushstrokes and began experimenting with juxtaposed dots of colours to execute radiant meticulous compositions. 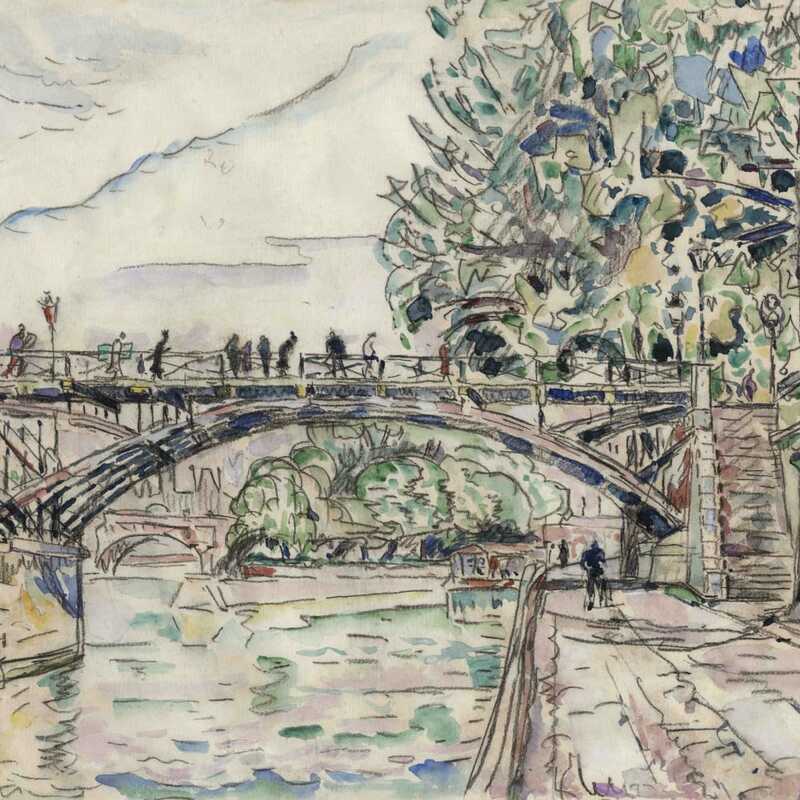 An avid sailor, Signac was predominantly known for his vibrant paintings of seascapes and ports. 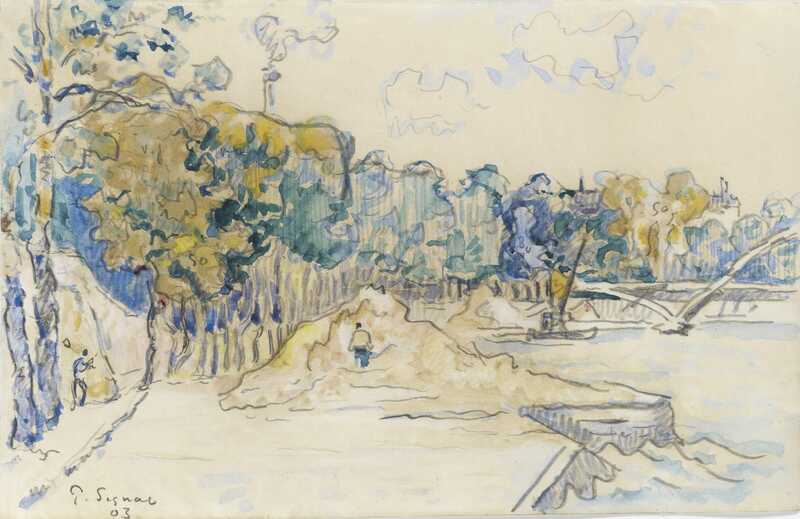 He started using watercolours in 1892, a medium which allowed him to loosen his style and vision, painting in simple strokes. A visit to London in 1898 to see the works of J.M.W Turner and Claude Monet which enriched his artistic and visual vocabulary. 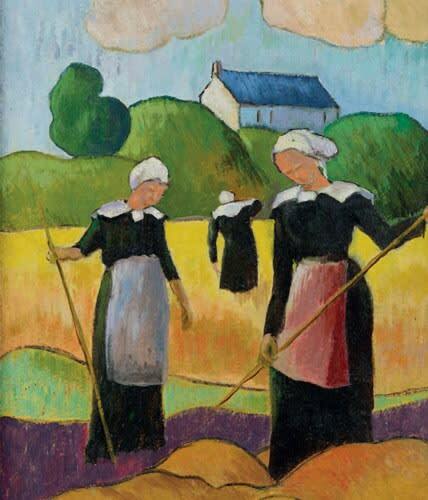 He had a solo exhibition in 1899 at the Durand-Ruel gallery. 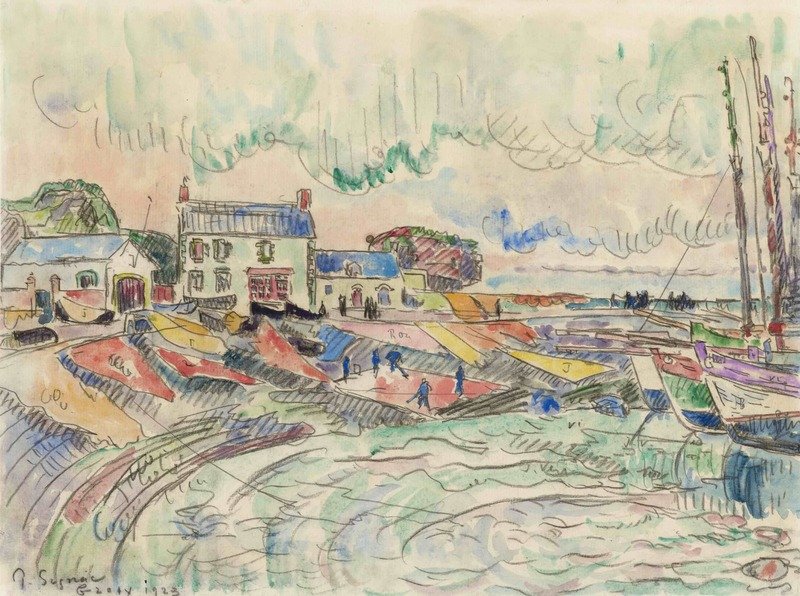 From this moment, his style began to evolve in a manner that would inspire the Fauves, who were able to see his work in various galleries. 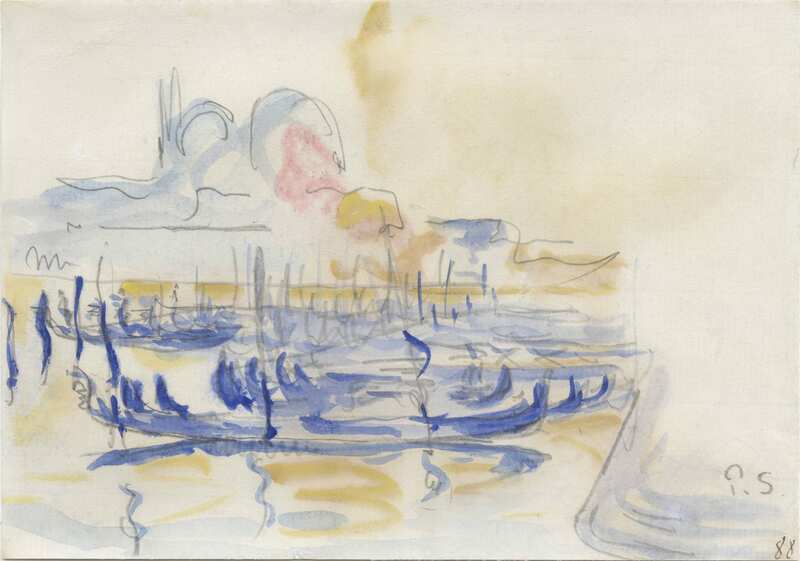 Henri Matisse’s ‘Luxe, Calme et volupté’ was painted after a visit to Signac’s house in St. Tropez in 1904. 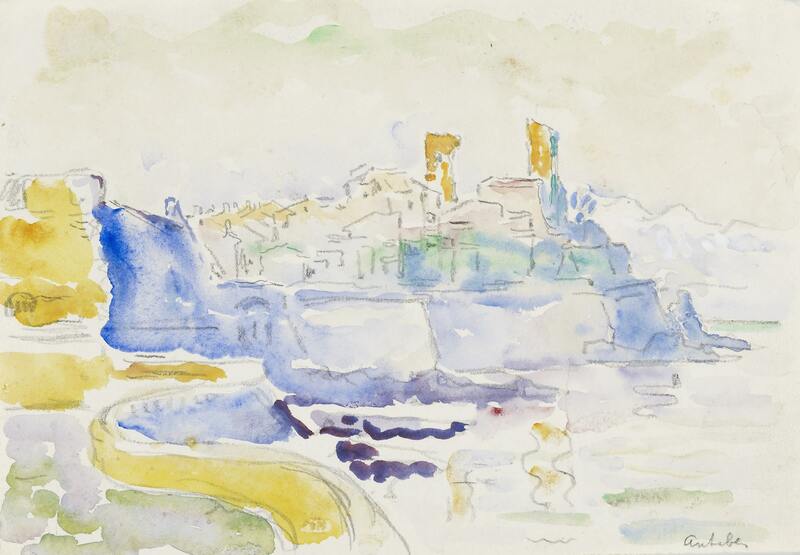 He had acquired the house in St Tropez in 1897 and had a large studio built there. 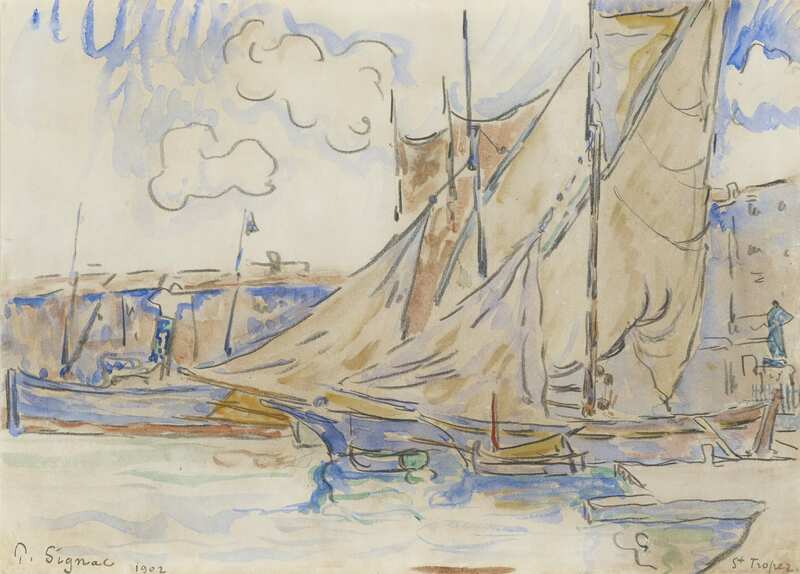 The small fishing port, which at the time was little known, was to provide inspiration for some of his most celebrated paintings, including The Port of Saint-Tropez, 1901, The National Museum of Art, Tokyo. In 1910 he is quoted saying “Oil painting is a serious battle, watercolour a playful game”, a reflection of his lifelong enthusiasm and youthfulness. The artist’s work is included in numerous museums around the world such as Museum of Modern Art, New York ; National Museum of Western Art, Tokyo ; Pushkin Museum, Moscow ; Albertina Museum, Vienna.